Please note, some events may be duplicated. Use the drop down menu in the upper right corner to select which topic you want to view. For events by country, please see WL Central Events & Petitions. A list of WikiLeaks Petitions on WL Central. Donate to WikiLeaks. Shop WikiLeaks. Create your own event or petition and write admin@wlcentral.org to ask that we add it here. 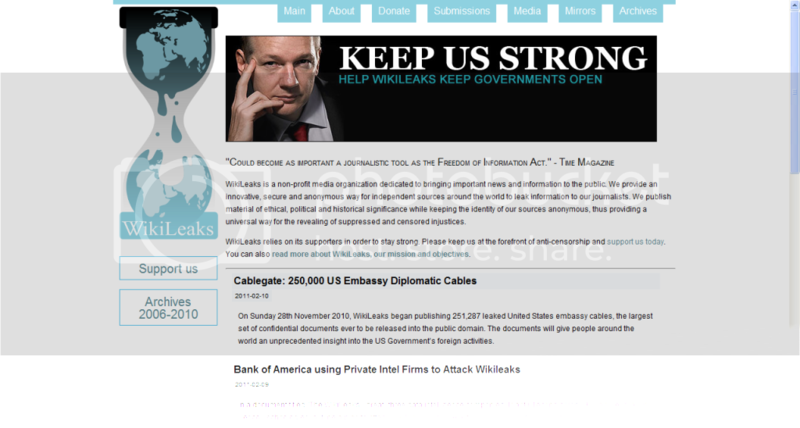 The current WikiLeaks site has been in operation since late November, and was designed to host the Cablegate releases, as well as allow site visitors to peruse older WikiLeaks releases. The front page contains links to a torrent of the back catalogue of leaks, the War Leaks, and Cablegate. A comprehensive About page will fill readers in on the highlights of WikiLeaks' several year career. Between 2006 and October 2010, WikiLeaks site was based on an implementation of the Mediawiki software (hence the name, WikiLeaks). In October the site was taken down, and when WikiLeaks returned, the new site (above) replaced the Mediawiki site. During the offtime, WikiLeaks supporters were served by this mirror of the old site. Now, though, WikiLeaks are hosting a complete version of the old site on their new servers. This site is essential for anyone who wishes to investigate the history of WikiLeaks and its publishing history, and to read the many examples of investigative journalism that were amassed there over the four years of its use. 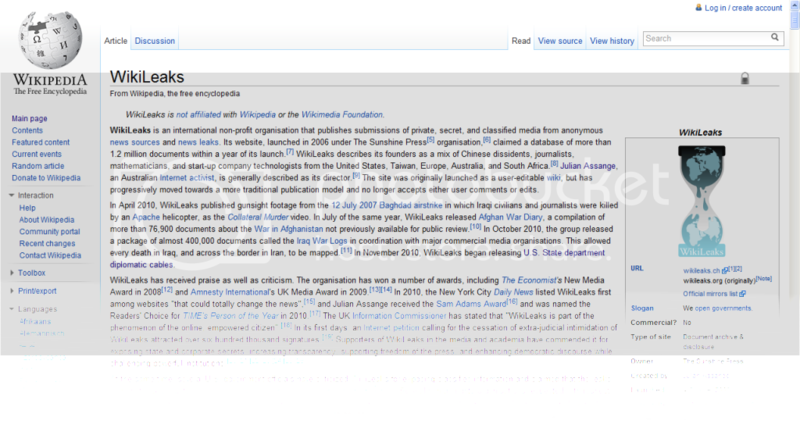 For an instant primer on WikiLeaks, the Wikipedia page is a good, although sometimes out of date source. Cablegate Resources: An extensive WL Central resource on all the most well known sites and tools to aid in cable exploration, as well as an introduction to the cables, revelations to date, and WL Central coverage. War Leaks: Beginning in April 2010, WikiLeaks released a succession of leaks pertaining to the wars in Afghanistan and Iraq. This section contains resources for the Collateral Murder and War Logs leaks and a summary and analysis of their extent and significance. Debunked: "Julian Assange is a Traitor (U.S.)"
Debunked: "WikiLeaks Did Not Redact The Afghanistan War Logs"
Debunked: "WikiLeaks Has Blood On Its Hands"
Debunked: "WikiLeaks' 'Critical Infrastructure' Cable endangers U.S. National Security"
Twitter Archive: A complete archive of the WikiLeaks Twitter account. Press Archive: An archive of press coverage regarding WikiLeaks from February 2009 to November 2010. Video Archive: An archive of documentaries, press conferences, talks and panel discussions and interviews.